日経平均日足・押し、戻りは空まで実現するを酒田線の骨子とす/NIKKEI 225 Daily. The main point of SAKATA Rules says “The dip reaches the gap and not goes over”. “A” point is the typical type as the textbook says. The nearest 45 degree resistance line is 9350yen. And if the market price will go upside without a dip, the market price will reach the top upside of the gap. 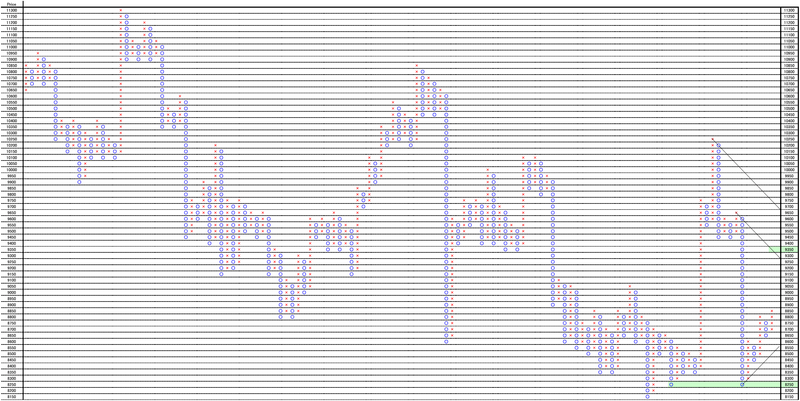 And if the market price will make a dip, the 45 degree resistance point will go lower side. We think the upper side gap will work as strong resistance point. TOPIX週足・ＮＩＫＫＥＩ225よりも更に弱気相場だと考えております/TOPIX Weekly. We think this market is more bearish than N225. Today’s analyze is TOPIX weekly. 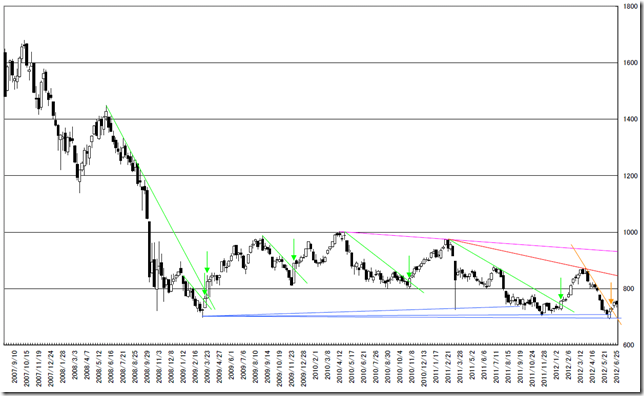 We added 5 types of trend lines on the chart which is similar line as last day analysis. First, you can see green resistance lines and green arrows. 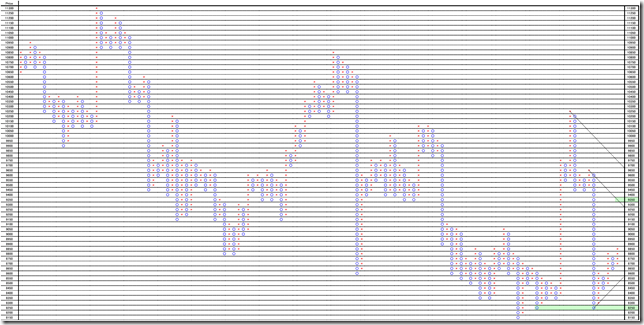 These green lines are the points the market price resisted for some time. And when the market price went over it, the market price formed a big white candle stick. The recent market line is orange color. And in this point, the market price went over but without a big white candle stick. Following the last day N225 analysis, we think this means the market did not take the major bottom at the beginning of the June. Next is pink line and red line. 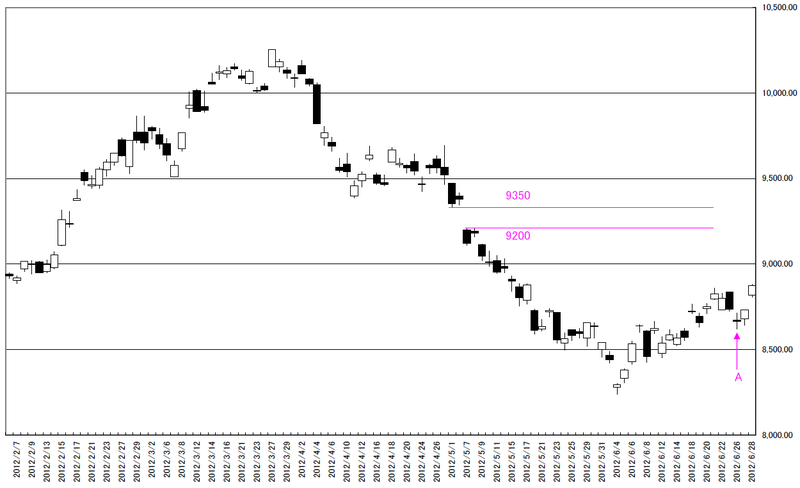 The third peak point did not reach the pink resistance line and added new red resistance line. The peak price becomes lower and lower. When the market price will cut them, this will become the obvious breaking. The best reasons of implying re-fall are blue lines. The support levels rewrite lower and lower. 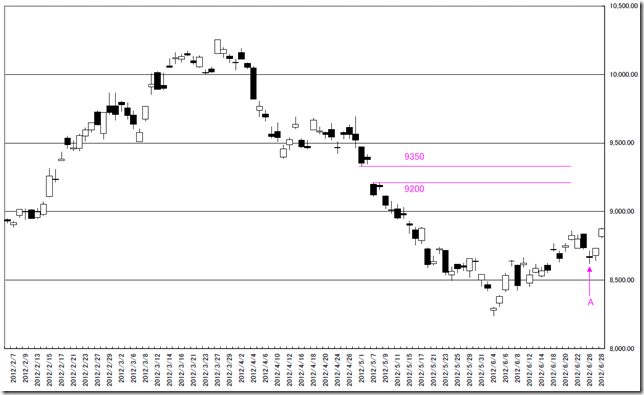 This is similar pattern of NY silver report in 06/25/2012. 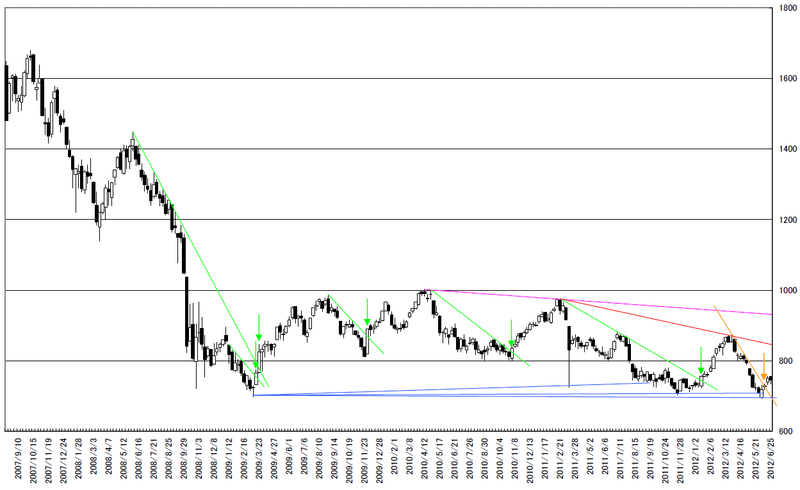 The view from Dow Theory, this is the down side wave.